You’re going to love how easy it is to make my Instant Pot Hawaiian Chicken recipe that you’re going to love making for your next meal. How could you wrong with delicious bites of pineapple chunks made with a rich sauce and tender pieces of chicken. This is the easiest Hawaiian Chicken recipe you’ll make in your Instant Pot, or other types of electric pressure cookers. 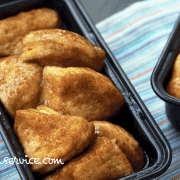 For this recipe, I cut the chicken breasts into 1″ cubes, you can easily use chicken tender loins, or just cut your chicken breast into strips so you can shred them later for a version of a Hawaiian Pulled chicken sandwiches. I’ve totally done this before and melted provolone cheese on top (because you know…cheese is everything) and it was insanely delicious! I love how easy it is to make my Instant Pot Hawaiian Chicken. You can easily serve it over your favorite type of rice, or just eat with a side of veggies. To your Instant Pot liner, add: chicken, pineapple chunks (juice included), diced peppers, ginger, honey, and soy sauce. Close and lock lid, and close vent. Press Pressure Cook button, and set time for 10 minutes. Once done, press Cancel and allow to NPR for 15 minutes. Then release all remaining pressure. 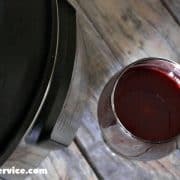 Stir contents in the Instant Pot to mix well. Press Sauté button, and add both light brown and dark brown sugar. Stir until well dissolved. Once sugars have been dissolved, allow mixture to cook until mixture starts to boil. Once you start seeing it come to boil, add in your corn starch slurry and it will start to thicken. Press the Cancel button to stop it from cooking further. I love an easy recipe that I don’t have to stress about when my family is literally biting at my ankles to eat dinner. This is literally a dump and go meal, minus the last stage of dissolving the sugars and adding in the corn starch slurry…which literally just takes a couple of minutes to finish. I also love that my family loves my Hawaiian Chicken recipe, too! This is definitely delicious over Jasmine rice or Basmati rice; however, I love eating it just by itself. One fork full at a time. I have to pace myself, or I will wind up just eating the whole pot…and then regret it later when everyone is yelling at me that I didn’t share any. Whatever. I guess my family has to eat it too. I’m kind of a nice guy like that. 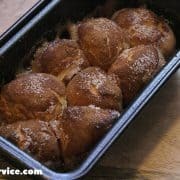 This recipe is also great for convenience! You can easily freeze this recipe once it’s cooled, to pull out of the freezer for eating when you’re ready. Another reason why I love batch cooking.